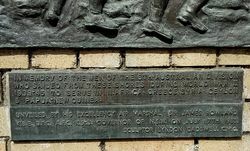 The plaque commemorates those who served in the 6th Division during World War Two. The 6th Division was a unit of the Australian Army. It was raised briefly in 1917 during World War One, but was broken up to provide reinforcements before seeing action. It was not re-raised until the outbreak of World War Two, when it was formed as a unit of the Second Australian Imperial Force (2nd AIF). Throughout 1940–41 it served in the North African campaign, the Greek campaign, on Crete and in Syria, fighting against the Germans, Italians and Vichy French. In 1942, the division left the Middle East and returned to Australia to meet the threat of Japan's entry into the war. Part of the division garrisoned Ceylon for a short period of time, before the division was committed to the New Guinea campaign. In New Guinea, its component brigades saw action along the Kokoda Track, at Buna–Gona and around Salamaua–Lae in 1942–43. 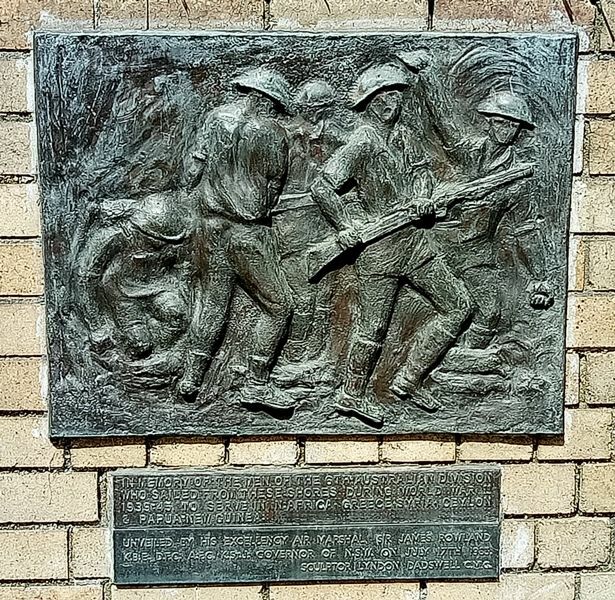 Throughout late 1943–44, the division was re-organised in Australia before being committed as a complete formation to one of the last Australian operations of the war around Aitape–Wewak in 1944–45. 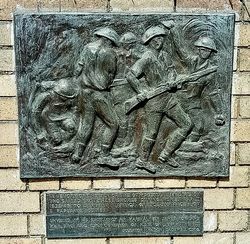 In memory of the men of the 6th Australian Division who sailed from these shores during World War II 1939 - 45 to serve in N. Africa, Greece, Syria, Ceylon & Papua - New Guinea.